Is this the face of a killer? Yes. 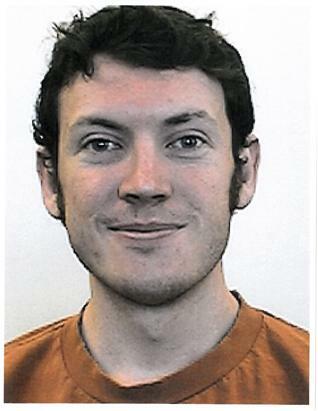 James Holmes waited until the most anticipated movie of the Summer filled up a movie theater. Then, dressed in a ballistic helmet, a ballistic vest, ballistic leggings & gas mask, he deliberately and deviously opened fire on Theater #9 at the Center 16 Movie Theater in Aurora, CO. The death toll stands at 12 and the wounded at 59 (11 in critical condition). No. That is the face of a doctoral student in Neuroscience at the University of Colorado School of Medicine (nationally ranked #5 for Primary Care). It's the face of a University of California honors graduate in neuroscience. It's the face of a neighbor, a friend, a colleague and a son. The presence of evil may not seem to destabilize our universe on a day-to-day basis. But, that may just be because we try not to think about it. Which is why stories like Aurora are so chilling and unnerving. But, what can we do when faced with evil? Do we simply try and 'outweigh' the evil with goodness? Do we try and keep the cosmic scales in balance*? Do we trust in our justice system to appropriately hold evil accountable? * Who keeps track of those scales anyway? If there is no God, then is it even plausible to believe that these scales exist and are universally valued? If we cannot trust in a good being who not only personifies goodness, but also holds us accountable for goodness, then we are lost with a world of evil people trying to maintain their tenuous grasp on a 'good' society. God hasn't eradicated evil from the world, instead he allows us a way to transcend the evil in this world. He promises us eternal life in heaven for those that trust in Jesus' death on the cross for their sins. God has not removed evil from the world. Instead, he will remove us from this evil world. In this evil world, we don't need more good, we need God. Join me in prayer for the families of the victims, those wounded & all those affected by this tragedy. Join me, also, in prayer to a good God who not only maintains the standard of good and evil, but personally redeemed the evil to goodness through his own sacrifice.